Cthulhu is an ancient monster who wants to return to life thanks to a ritual that his assistant and fan is about to conduct. But there are too many intruders who want to prevent it from happenning! 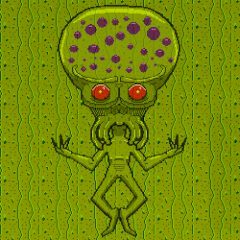 Help Cthulhu to turn all his enemies into monsters using his magic powers. Stop all the people who try to interfere with the rite!